The author sets out short biographies of ten notable Victorians and their families and gives the location of their graves in the churchyard. 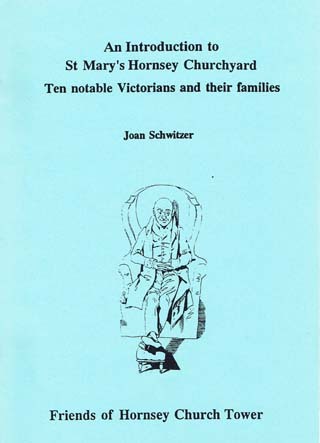 The late Dr Joan Schwitzer was a founder member, Chairman and President of Hornsey Historical Society. She was an energetic and far-sighted leader who laid secure foundations for HHS. Joan is irreplaceable. She was the author of numerous articles and books published by HHS and elsewhere. She lived in Highgate for over fifty years.